[S801] Billy Richardson, electronic mail to Roger Bartlett, 9 Jan 2003, (naming Goin C. Richardson as his father). [S801] Billy Richardson, electronic mail to Roger Bartlett, 9 Jan 2003, (naming Nancy J. Harrison as his mother). [S801] Billy Richardson, electronic mail to Roger Bartlett, 9 Jan 2003. Frank Marshall Bartlett's tombstone, Elm Grove Cemetery, Roddy, Texas, courtesy of Frank Everett. [S164] 1860 U.S. Census, Navarro County, Texas, p. 214 (indicating that L. L. Bartlett was his father). [S174] Bert Waters, Waco, Tex., interview by Roger Bartlett, 29 Jun 1974 (naming Lucien Lusk Bartlett as his father). [S220] Juanita Mayberry, family group record sent to Roger Bartlett, 23 Sep 1975 (naming Lucien Lusk Bartlett as his father). [S164] 1860 U.S. Census, Navarro County, Texas, p. 214 (indicating that M. J. Bartlett was his mother). [S220] Juanita Mayberry, family group record, 23 Sep 1975, above (naming Martha Richardson as his mother). [S164] 1860 U.S. Census, Navarro County, Texas, p. 214 (indicating that he was born in Texas in 1852 or 1853). [S220] Juanita Mayberry, family group record, 23 Sep 1975, above. [S236] Photograph of grave marker provided by Charles O. Richardson, Jr., accompanying letter to Roger Bartlett, 14 Apr 1997 (giving only the date). [S224] Juanita Mayberry, 1705 Willow Rd., Carrollton, Tex. 75006, letter to Roger Bartlett, 15 Jun 1975 (enclosing photocopy of birth certificate of Sam L. Bartlett, his son, which states that Sam's father was Franklin Marshall Bartlett, whose age was 39 at his son's birth, and who was a farmer born in Chatfield, Navarro County, Texas). [S961] Find A Grave, online at http://www.findagrave.com, memorial for Frank Marshall Bartlett, memorial no. 7020849, viewed on 18 Nov 2015 (giving the date but not the place). [S922] Marriage Records, 1848-1909, Van Zandt County, Texas (Wills Point, Tex. : Van Zandt County Gen. Soc'y, 1978), p. 9 (giving her name as Clarinda and citing Van Zandt Co., Tex. Marriage Records, bk. 3, p. 437). [S961] Find A Grave, online, above, memorial for Frank Marshall Bartlett, memorial no. 7020849, viewed on 18 Nov 2015 (not giving the date or place). [S961] Find A Grave, online, above, memorial for Susan Clarinda ['Clara'] Pate Bartlett, memorial no. 7020847, viewed on 18 Nov 2015 (not giving the date or place). [S11] Index to Texas Death Records (Austin, Tex. : Tex. Dept. of Health, Bur. of Vital Statistics), typescript, 1903-40, vol. 3, p. 1474, file 16197 (giving his name as F. M. Bartlett). [S172] Van Zandt County, Texas Cemeteries, Book 3 (Canton, Tex. : Friends for Historic Preservation, 1987), p. 301 (giving only the date). [S220] Juanita Mayberry, family group record, 23 Sep 1975, above (stating that he died at 6:30 a.m.). [S172] Van Zandt County, Texas Cemeteries, Book 3, above, p. 301. [S236] Photograph of grave marker provided by Charles O. Richardson, Jr. on 14 Apr 1997, above (common stone with Clara Bartlett). [S961] Find A Grave, online, above, memorial for Frank Marshall Bartlett, memorial no. 7020849, viewed on 18 Nov 2015. [S220] Juanita Mayberry, family group record, 23 Sep 1975, above (stating that he was a teacher and a farmer, that he was born on 30 Jun 1852, and that they were married on 19 Feb 1880 in Cherokee County, Texas). [S224] Juanita Mayberry, 15 Jun 1975 letter, above (stating that they were married on 4 Feb 1880 in Cherokee County, Texas and enclosing photocopy of marriage record, which gives the bride's name as Mrs. Clara Wallace). [S172] Van Zandt County, Texas Cemeteries, Book 3, above, p. 301 (giving 30 Jun 1863 as his birth date). [S220] Juanita Mayberry, family group record, 23 Sep 1975, above (naming Frank Marshall Bartlett as his father). [S220] Juanita Mayberry, family group record, 23 Sep 1975, above (naming Frank Marshall Bartlett as this child's father). [S224] Juanita Mayberry, 15 Jun 1975 letter, above (enclosing photocopy of birth certificate, which names Franklin Marshall Bartlett as his father). [S927] Van Zandt County, Texas Cemetery Book 4 (Canton, Tex. : The Van Zandt County Hist. Comm., 1995), p. 243 (giving his name as B. F. Bartlett and naming F. M. and S. C. Bartlett as his parents). [S220] Juanita Mayberry, family group record, 23 Sep 1975, above (naming Frank Marshall Bartlett as her father). [S927] Van Zandt County, Texas Cemetery Book 4 (Canton, Tex. : The Van Zandt County Hist. Comm., 1995), p. 243 (naming F. M. and S. C. Bartlett as her parents). Clarinda Pate Bartlett's tombstone, Elm Grove Cemetery, Roddy, Texas, courtesy of Frank Everett. Other Names*: Susan Clarinda Pate Bartlett, Susan Clarinda Bartlett, Susan Pate Bartlett, Susan Pate, Susan Bartlett, Clara Pate, Clara Bartlett. • Her Find A Grave memorial, which includes a picture of her and her husband's tombstone, is here. [S220] Juanita Mayberry, family group record sent to Roger Bartlett, 23 Sep 1975 (giving the date but not naming the place). [S236] Photograph of grave marker provided by Charles O. Richardson, Jr., accompanying letter to Roger Bartlett, 14 Apr 1997 (giving the date but not naming the place). [S224] Juanita Mayberry, 1705 Willow Rd., Carrollton, Tex. 75006, letter to Roger Bartlett, 15 Jun 1975 (enclosing photocopy of birth certificate of Sam L. Bartlett, her son, which states that Sam's mother was Clara Susan Pate, whose age was 33 at her son's birth, and who was a housewife born in Cherokee County, Texas). [S172] Van Zandt County, Texas Cemeteries, Book 3 (Canton, Tex. : Friends for Historic Preservation, 1987), p. 301 (giving the date but not naming the place). [S961] Find A Grave, online at http://www.findagrave.com, memorial for Susan Clarinda ['Clara'] Pate Bartlett, memorial no. 7020847, viewed on 18 Nov 2015 (giving the date but not the place). [S11] Index to Texas Death Records (Austin, Tex. : Tex. Dept. of Health, Bur. of Vital Statistics), typescript, 1946-55, vol. 22, p. 10827, file 9938 (giving her name as Clara Wallace). 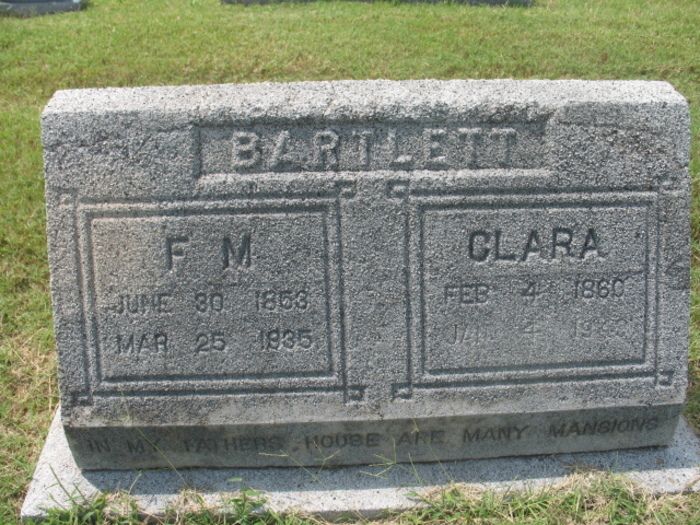 [S236] Photograph of grave marker provided by Charles O. Richardson, Jr. on 14 Apr 1997, above (giving her name as Clara Bartlett) (common stone with F. M. Bartlett). [S961] Find A Grave, online, above, memorial for Susan Clarinda ['Clara'] Pate Bartlett, memorial no. 7020847, viewed on 18 Nov 2015. [S220] Juanita Mayberry, family group record, 23 Sep 1975, above (stating that she died at 12:30 p.m. on 4 Jan 1949). [S127] Annelle House, 4111 Sylvan Oaks Dr., San Antonio, Tex. 78229, written notes provided to Roger Bartlett, Jun 1993, p. 301. [S236] Photograph of grave marker provided by Charles O. Richardson, Jr. on 14 Apr 1997, above. [S220] Juanita Mayberry, family group record, 23 Sep 1975, above (naming Susan Clarinda Pate Wallace as his mother). [S220] Juanita Mayberry, family group record, 23 Sep 1975, above (naming Susan Clarinda Pate Wallace as this child's mother). [S224] Juanita Mayberry, 15 Jun 1975 letter, above (enclosing photocopy of birth certificate, which names Clara Susan Pate as his mother). [S220] Juanita Mayberry, family group record, 23 Sep 1975, above (naming Susan Clarinda Pate Wallace as her mother). [S174] Bert Waters, Waco, Tex., interview by Roger Bartlett, 29 Jun 1974 (naming Lucien Lusk Bartlett as her father). [S219] Juanita Mayberry, family group record sent to Roger Bartlett, 5 Oct 1975 (naming Lucien Lusk Bartlett as her father). [S220] Juanita Mayberry, family group record sent to Roger Bartlett, 23 Sep 1975 (naming Lucien Lusk Bartlett as her father). [S69] Wayne M. Harris, "A. W. Meredith Family," in The History of Van Zandt County, Texas (Wills Point, Tex. : Van Zandt County Gen. Soc'y, 1984), pp. 360-61 (naming L. L. (Lucian) [sic] Bartlett as her father). [S219] Juanita Mayberry, family group record, 5 Oct 1975, above (naming Martha Richardson as her mother). [S220] Juanita Mayberry, family group record, 23 Sep 1975, above (naming Martha Richardson as her mother). [S69] Wayne M. Harris, "A. W. Meredith Family," above (naming Martha J. Richardson as her mother). [S219] Juanita Mayberry, family group record, 5 Oct 1975, above (date only). [S220] Juanita Mayberry, family group record, 23 Sep 1975, above (date only). [S73] Ada Provence Banta, "Anvaline Meredith Provence," in The History of Van Zandt County, Texas (Wills Point, Tex. : Van Zandt County Gen. Soc'y, 1984), p. 298 , (place only). [S236] Photograph of grave marker provided by Charles O. Richardson, Jr., accompanying letter to Roger Bartlett, 14 Apr 1997 (date only). [S172] Van Zandt County, Texas Cemeteries, Book 3 (Canton, Tex. : Friends for Historic Preservation, 1987), p. 66 (giving the date but not the place). [S69] Wayne M. Harris, "A. W. Meredith Family," above (giving only the date and stating that they were married by County Judge Allen, "a dear friend"). [S73] Ada Provence Banta, "Anvaline Meredith Provence," above, (not giving the date or placde). [S174] Bert Waters, Waco, Tex., 29 Jun 1974 interview, above (stating that Belle Bartlett married Anthony Wayne Meredith, postmaster of Wills Point for forty years, without giving the date or place). [S219] Juanita Mayberry, family group record, 5 Oct 1975, above (giving the date but not the place). [S220] Juanita Mayberry, family group record, 23 Sep 1975, above (giving the date but not the place). [S222] "Meredith, Early County Citizen, Is True Rebel," Wills Point Chronicle, Wills Point, Tex., 3 May 1974, pp. 6FF, 8FF, (giving the date but not the place). [S922] Marriage Records, 1848-1909, Van Zandt County, Texas (Wills Point, Tex. : Van Zandt County Gen. Soc'y, 1978), p. 98 (spelling her name as Bell and citing Van Zandt Co., Tex. Marriage Records, bk. 3, p. 265). [S11] Index to Texas Death Records (Austin, Tex. : Tex. Dept. of Health, Bur. of Vital Statistics), typescript, 1903-40, vol. 35, p. 17072, file 35236. [S219] Juanita Mayberry, family group record, 5 Oct 1975, above (giving only the date). [S236] Photograph of grave marker provided by Charles O. Richardson, Jr. on 14 Apr 1997, above (giving only the date). [S219] Juanita Mayberry, family group record, 5 Oct 1975, above. [S69] Wayne M. Harris, "A. W. Meredith Family," above (stating that she is buried in Wills Point without naming the cemetery). [S172] Van Zandt County, Texas Cemeteries, Book 3, above, p. 66. [S73] Ada Provence Banta, "Anvaline Meredith Provence," above. [S69] Wayne M. Harris, "A. W. Meredith Family," above (stating in part that she died on 2 Jul 1940). [S220] Juanita Mayberry, family group record, 23 Sep 1975, above (giving 7 Mar 1880 as their marriage date). [S219] Juanita Mayberry, family group record, 5 Oct 1975, above (naming Belle Bartlett as her mother). [S219] Juanita Mayberry, family group record, 5 Oct 1975, above (naming Belle Bartlett as his mother). [S69] Wayne M. Harris, "A. W. Meredith Family," above (naming Belle Bartlett as her mother). [S236] Photograph of grave marker provided by Charles O. Richardson, Jr. on 14 Apr 1997, above (identifying him as "Son of A. W. and Belle Meredith"). [S69] Wayne M. Harris, "A. W. Meredith Family," above (naming Belle Bartlett as his mother). [S73] Ada Provence Banta, "Anvaline Meredith Provence," above, (naming Belle Bartlett as her mother). [S69] Wayne M. Harris, "A. W. Meredith Family," above (giving his name as Graham Meredith and naming Belle Bartlett as his mother). [S69] Wayne M. Harris, "A. W. Meredith Family," above (giving her name as Lucia Meredith and naming Belle Bartlett as her mother). [S219] Juanita Mayberry, family group record sent to Roger Bartlett, 5 Oct 1975 (naming C. B. Meredith of North Carolina as his father). [S69] Wayne M. Harris, "A. W. Meredith Family," in The History of Van Zandt County, Texas (Wills Point, Tex. : Van Zandt County Gen. Soc'y, 1984), pp. 360-61 (naming Cyrus Bolivar Meredith as his father). [S219] Juanita Mayberry, family group record, 5 Oct 1975, above (naming Georgia Ann Reid as his mother). [S69] Wayne M. Harris, "A. W. Meredith Family," above (naming Georgia Reid as his mother). [S69] Wayne M. Harris, "A. W. Meredith Family," above. [S236] Photograph of grave marker provided by Charles O. Richardson, Jr., accompanying letter to Roger Bartlett, 14 Apr 1997 (giving the date but not the place). [S768] Brigitte Russell, electronic mail to Roger Bartlett, 21 Jan 2002, (giving the date but not the place). [S67] The Dallas Morning News, Dallas, Tex., 30 Aug 1946, sec. II, p. 6 (obituary of Anthony Wayne Meredith). [S73] Ada Provence Banta, "Anvaline Meredith Provence," in The History of Van Zandt County, Texas (Wills Point, Tex. : Van Zandt County Gen. Soc'y, 1984), p. 298 , (not giving the date or placde). [S174] Bert Waters, Waco, Tex., interview by Roger Bartlett, 29 Jun 1974 (stating that Belle Bartlett married Anthony Wayne Meredith, postmaster of Wills Point for forty years, without giving the date or place). [S220] Juanita Mayberry, family group record sent to Roger Bartlett, 23 Sep 1975 (giving the date but not the place). [S11] Index to Texas Death Records (Austin, Tex. : Tex. Dept. of Health, Bur. of Vital Statistics), typescript, 1946, vol. 2, p. 703, file 38970 (giving the date and county). [S219] Juanita Mayberry, family group record, 5 Oct 1975, above (naming the place but not the date). [S69] Wayne M. Harris, "A. W. Meredith Family," above (stating that he is buried in Wills Point without naming the cemetery or giving the date). [S236] Photograph of grave marker provided by Charles O. Richardson, Jr. on 14 Apr 1997, above (naming the place but not the date). [S172] Van Zandt County, Texas Cemeteries, Book 3, above, p. 66 (naming the place but not the date). [S67] The Dallas Morning News, Dallas, Tex., 30 Aug 1946, sec. II, p. 6 (obituary of Anthony Wayne Meredith) (stating that his funeral was on 30 Aug 1946 but not naming the place of burial). [S69] Wayne M. Harris, "A. W. Meredith Family," above (stating in part that he died on 26 Aug 1946). [S70] W. S. Mills, "History of Van Zandt County," in The History of Van Zandt County, Texas (Wills Point, Tex. : Van Zandt County Gen. Soc'y, 1984), pp. 34-35. [S221] Richard L. Ray, County Judge, Van Zandt County, P.O. Box 579, Canton, Texas 75103, letter to Roger Bartlett, 2 Oct 1975, (giving his service as district clerk, sheriff, and tax collector). [S222] "Meredith, Early County Citizen, Is True Rebel," Wills Point Chronicle, above. [S768] Brigitte Russell, electronic mail to Roger Bartlett, 21 Jan 2002, (stating that he died on 26 Aug 1946). [S219] Juanita Mayberry, family group record, 5 Oct 1975, above (naming Anthony Wayne Meredith as her father). [S219] Juanita Mayberry, family group record, 5 Oct 1975, above (naming Anthony Wayne Meredith as his father). [S69] Wayne M. Harris, "A. W. Meredith Family," above (naming Anthony Wayne Meredith as her father). [S67] The Dallas Morning News, Dallas, Tex., 30 Aug 1946, sec. II, p. 6 (obituary of Anthony Wayne Meredith) (naming Anthony Wayne Meredith as her father). [S69] Wayne M. Harris, "A. W. Meredith Family," above (naming Anthony Wayne Meredith as his father). [S69] Wayne M. Harris, "A. W. Meredith Family," above (giving his name as Graham Meredith and naming Anthony Wayne Meredith as his father). [S69] Wayne M. Harris, "A. W. Meredith Family," above (giving her name as Lucia Meredith and naming Anthony Wayne Meredith as her father). Lucien Dony Bartlett's tombstone, Cedars Memorial Gardens, Mineola, Tex., from findagrave.com. Other Names*: Lucien Done Bartlett. [S233] Charles O. Richardson, Jr., P.O. Box 119, Mineola, Tex. 75773, letter to Roger Bartlett, 6 Mar 1997. [S961] Find A Grave, online at http://www.findagrave.com, memorial for Lucien D. Bartlett, memorial no. 23356049, viewed on 25 Sep 2011 (giving the date but no other information). [S781] Robert Massey, electronic mail to Roger Bartlett, 10 Oct 2002. [S1543] Texas Marriages, 1837-1973, online at https://www.familysearch.org, record for L. D. Bartlett and Nellie Ayers, viewed on 27 Dec 2018. [S11] Index to Texas Death Records (Austin, Tex. : Tex. Dept. of Health, Bur. of Vital Statistics), typescript, 1903-40, vol. 3, p. 1476, file 10104. [S220] Juanita Mayberry, family group record, 23 Sep 1975, above (naming the place but not giving the date). [S236] Photograph of grave marker provided by Charles O. Richardson, Jr. on 14 Apr 1997, above (common stone with Nellie May Bartlett) (naming the place but not the date). [S67] The Dallas Morning News, Dallas, Tex., 23 Mar 1922, pt. 1, p. 14. [S961] Find A Grave, online, above, memorial for Lucien D. Bartlett, memorial no. 23356049, viewed on 25 Sep 2011 (not giving the date). [S174] Bert Waters, Waco, Tex., 29 Jun 1974 interview, above. [S174] Bert Waters, Waco, Tex., 29 Jun 1974 interview, above (naming Lucien Dony Bartlett as her father). [S220] Juanita Mayberry, family group record, 23 Sep 1975, above (naming Lucien Dony Bartlett as her father). [S220] Juanita Mayberry, family group record, 23 Sep 1975, above (naming Lucien Dony Bartlett as his father). [S174] Bert Waters, Waco, Tex., 29 Jun 1974 interview, above (naming Lucien Dony Bartlett as Frank E. Bartlett's father). [S220] Juanita Mayberry, family group record, 23 Sep 1975, above (spelling his middle name as Sydney and naming Lucien Dony Bartlett as his father). [S781] Robert Massey, electronic mail to Roger Bartlett, 10 Oct 2002, (naming Lucien Dony Bartlett as his father). [S174] Bert Waters, Waco, Tex., 29 Jun 1974 interview, above (naming Lucien Dony Bartlett as Mrs. Hattie Belle Puckett's father). [S174] Bert Waters, Waco, Tex., 29 Jun 1974 interview, above (naming Lucien Dony Bartlett as Mrs. Mary Maloney's father). [S174] Bert Waters, Waco, Tex., 29 Jun 1974 interview, above (naming Lucien Dony Bartlett as Leslie Bartlett's father). [S233] Charles O. Richardson, Jr., 6 Mar 1997 letter, above, (stating that her grave marker names L. D. Bartlett as her father). [S220] Juanita Mayberry, family group record, 23 Sep 1975, above (giving her name as Lucien Martha Bartlett and naming Lucien Dony Bartlett as her father). Nellie May Ayres Bartlett's tombstone, Cedars Memorial Gardens, Mineola, Tex., from findagrave.com. Other Names*: Nellie May Ayres Bartlett, Nellie May Bartlett. [S220] Juanita Mayberry, family group record sent to Roger Bartlett, 23 Sep 1975 (naming Thomas Eli Ayres as her father). [S220] Juanita Mayberry, family group record, 23 Sep 1975, above (naming Cornelia Hampton as her mother). [S236] Photograph of grave marker provided by Charles O. Richardson, Jr., accompanying letter to Roger Bartlett, 14 Apr 1997 (stating that she was born on 15 May 1862 without naming the place). [S961] Find A Grave, online at http://www.findagrave.com, memorial for Nellie May Bartlett, memorial no. 23356058, viewed on 25 Sep 2011 (giving the date but not the place). [S11] Index to Texas Death Records (Austin, Tex. : Tex. Dept. of Health, Bur. of Vital Statistics), typescript, 1950, vol. 1, file 42536 (stating that she died o 21 Sep 1950 in Dallas Co., Tex.). [S67] The Dallas Morning News, Dallas, Tex., 23 Sep 1950, part 3, p. 4 (obituary of Mrs. Nellie May Bartlett). [S236] Photograph of grave marker provided by Charles O. Richardson, Jr. on 14 Apr 1997, above (giving the date but not the place). [S961] Find A Grave, online, above, memorial for Nellie May Bartlett, memorial no. 23356058, viewed on 25 Sep 2011 (identifying the cemetery but not giving the date). [S67] The Dallas Morning News, Dallas, Tex., 23 Sep 1950, part 3, p. 4 (obituary of Mrs. Nellie May Bartlett) (naming Mrs. D. E. Waters of Cisco, Texas as her daughter). [S220] Juanita Mayberry, family group record, 23 Sep 1975, above (naming Nellie May Ayres as her mother). [S220] Juanita Mayberry, family group record, 23 Sep 1975, above (naming Nellie May Ayres as his mother). [S67] The Dallas Morning News, Dallas, Tex., 23 Sep 1950, part 3, p. 4 (obituary of Mrs. Nellie May Bartlett) (naming Frank E. Bartlett of Dallas as her son). [S220] Juanita Mayberry, family group record, 23 Sep 1975, above (spelling his middle name as Sydney and naming Nellie May Ayres as his mother). [S781] Robert Massey, electronic mail to Roger Bartlett, 10 Oct 2002, (naming Nellie May Ayres as his mother). [S67] The Dallas Morning News, Dallas, Tex., 23 Sep 1950, part 3, p. 4 (obituary of Mrs. Nellie May Bartlett) (naming Mrs. C. H. Puckett of Dallas as her daughter). [S67] The Dallas Morning News, Dallas, Tex., 23 Sep 1950, part 3, p. 4 (obituary of Mrs. Nellie May Bartlett) (naming Mrs. andrew Maloney of Houston as her daughter). [S67] The Dallas Morning News, Dallas, Tex., 23 Sep 1950, part 3, p. 4 (obituary of Mrs. Nellie May Bartlett) (naming Leslie Bartlett of Big Bear, California as her son). [S233] Charles O. Richardson, Jr., P.O. Box 119, Mineola, Tex. 75773, letter to Roger Bartlett, 6 Mar 1997, (stating that her grave marker names N. M. Bartlett as her mother). [S220] Juanita Mayberry, family group record, 23 Sep 1975, above (giving her name as Lucien Martha Bartlett and naming Nellie May Ayres as her mother). [S220] Juanita Mayberry, family group record sent to Roger Bartlett, 23 Sep 1975. [S220] Juanita Mayberry, family group record, 23 Sep 1975, above (naming Thomas Eli Ayres as her father). Built in 1886 by Henry Fisher Blackwell and his wife, Nannie Janie Bartlett, this house is the oldest still standing in Canton, Texas and now is a museum operated by the City of Canton. Note*: Her name may have been Nancy. They lived in Canton, Texas. 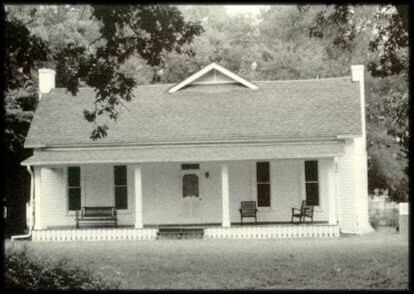 • Information about the Blackwells' house, the oldest in Canton, Texas, is here and here. [S174] Bert Waters, Waco, Tex., interview by Roger Bartlett, 29 Jun 1974 (naming Lucien Lusk Bartlett as Nancy Bartlett's father). [S961] Find A Grave, online at http://www.findagrave.com, memorial for Nannie Jane 'Nannie' Bartlett Blackwell, memorial no. 23504180, viewed on 17 Jun 2017 (giving the date but not the place). [S174] Bert Waters, Waco, Tex., 29 Jun 1974 interview, above (stating that Nancy Bartlett married Mr. Blackwell, sheriff of Van Zandt County, without giving a date or place). [S922] Marriage Records, 1848-1909, Van Zandt County, Texas (Wills Point, Tex. : Van Zandt County Gen. Soc'y, 1978), p. 12 (citing Van Zandt Co., Tex. Marriage Records, bk. 4, p. 156). [S961] Find A Grave, online, above, memorial for Nannie Jane 'Nannie' Bartlett Blackwell, memorial no. 23504180, viewed on 17 Jun 2017 (not giving the date or place). [S961] Find A Grave, online, above, memorial for Henry Fisher Blackwell, memorial no. 23504151, viewed on 17 Jun 2017 (not giving the date or place). [S11] Index to Texas Death Records (Austin, Tex. : Tex. Dept. of Health, Bur. of Vital Statistics), typescript, 1903-40, vol. 5, p. 2154, file 23705 (giving her name as Nannie Jane). [S961] Find A Grave, online, above, memorial for Nannie Jane 'Nannie' Bartlett Blackwell, memorial no. 23504180, viewed on 17 Jun 2017. [S220] Juanita Mayberry, family group record, 23 Sep 1975, above (naming Nannie Janie Bartlett as her mother). [S220] Juanita Mayberry, family group record, 23 Sep 1975, above (naming Nannie Janie Bartlett as his mother). [S961] Find A Grave, online, above, memorial for Katie S. Blackwell, memorial no. 113055142, viewed on 17 Jun 2017 (naming Nanie Jane 'Nannie' Bartlett Blackwell as her mother). [S961] Find A Grave, online, above, memorial for Nannie Jane 'Nannie' Bartlett Blackwell, memorial no. 23504180, viewed on 17 Jun 2017 (naming Nannie Jane 'Nannie' Bartlett Blackwell as her mother. [S220] Juanita Mayberry, family group record, 23 Sep 1975, above (giving his name as Rebel Eugene Blackwell and naming Nannie Janie Bartlett as his mother). [S961] Find A Grave, online, above, memorial for Rebel Eugene Blackwell, memorial no. 28988049, viewed on 17 Jun 2017 (naming Nannie Jane Bartlett as his mother). [S312] Social Security Death Index, online at http://tinyurl.com/AncestrySSDI, viewed on 27 Feb 1998 (naming Nannie Jane Bartlett as his mother and attributing information to his death certificate). Note*: He was sheriff of Van Zandt County, Texas. [S220] Juanita Mayberry, family group record sent to Roger Bartlett, 23 Sep 1975 (naming Henry Fisher Blackwell as his father). [S220] Juanita Mayberry, family group record, 23 Sep 1975, above (naming Sarah P. Engelow as his mother). [S961] Find A Grave, online at http://www.findagrave.com, memorial for Henry Fisher Blackwell, memorial no. 23504151, viewed on 17 Jun 2017 (giving the date but not the place; his birth date is taken from the photograph of his tombstone at this site although the memorial page says he was born on 15 Jun 1859). [S174] Bert Waters, Waco, Tex., interview by Roger Bartlett, 29 Jun 1974 (stating that Nancy Bartlett married Mr. Blackwell, sheriff of Van Zandt County, without giving a date or place). [S11] Index to Texas Death Records (Austin, Tex. : Tex. Dept. of Health, Bur. of Vital Statistics), typescript, 1941-45, vol. 1, p. 439, file 30545. [S961] Find A Grave, online, above, memorial for Henry Fisher Blackwell, memorial no. 23504151, viewed on 17 Jun 2017. [S220] Juanita Mayberry, family group record, 23 Sep 1975, above (naming Henry Fisher Blackwell as her father). [S961] Find A Grave, online, above, memorial for Katie S. Blackwell, memorial no. 113055142, viewed on 17 Jun 2017 (naming Henry Fisher Blackwell as her father). [S961] Find A Grave, online, above, memorial for Henry Fisher Blackwell, memorial no. 23504151, viewed on 17 Jun 2017 (naming Henry Fisher Blackwell as her father). [S220] Juanita Mayberry, family group record, 23 Sep 1975, above (giving his name as Rebel Eugene Blackwell and naming Henry Fisher Blackwell as his father). [S961] Find A Grave, online, above, memorial for Rebel Eugene Blackwell, memorial no. 28988049, viewed on 17 Jun 2017 (naming Henry F. Blackwell as his father). [S312] Social Security Death Index, online at http://tinyurl.com/AncestrySSDI, viewed on 27 Feb 1998 (naming Henry F. Blackwell, Sr. [sic] as his father and attributing information to his death certificate). Marriage*: He married Sarah P. Engelow. Marriage*: She married Henry Fisher Blackwell. [S220] Juanita Mayberry, family group record sent to Roger Bartlett, 23 Sep 1975 (naming Sarah P. Engelow as his mother). Note*: He moved from Mississippi to Arkansas in 1850. [S524] Bill Scarborough, electronic mail to Roger Bartlett, 25 Nov 1999, (naming German Berry as his father). [S524] Bill Scarborough, electronic mail to Roger Bartlett, 25 Nov 1999, (naming Susannah Bailes as his mother). [S524] Bill Scarborough, electronic mail to Roger Bartlett, 25 Nov 1999. [S524] Bill Scarborough, electronic mail to Roger Bartlett, 25 Nov 1999, (naming Stephen Berry as her father). [S524] Bill Scarborough, electronic mail to Roger Bartlett, 25 Nov 1999, (naming Stephen Berry as his father). [S524] Bill Scarborough, electronic mail to Roger Bartlett, 25 Nov 1999, (naming A. McLaurin as her mother). [S524] Bill Scarborough, electronic mail to Roger Bartlett, 25 Nov 1999, (naming A. McLaurin as his mother). Other Names*: Thelma Margarite Otis Williams, Thelma Margarite Otis Heather, Thelma Heather. [S124] Austin American-Statesman, Austin, Tex., 25 Mar 2015, p. B4, col. 2 (obituary of Thelma Heather) (naming Charles Otis as her father). [S124] Austin American-Statesman, Austin, Tex., 25 Mar 2015, p. B4, col. 2 (obituary of Thelma Heather) (naming Emma _____ as her mother). [S5] Kellie Loop, Rice, Tex., miscellaneous papers, p. 17. Miss Loop collected family data for decades, probably from the 1930s to the 1970s. Some of it is in her handwriting, and much of it appears to have been written by others and sent to her, but very little of it contains source attribution. There are inconsistencies within the papers. In 1974 the papers were in the possession of Roger Bartlett, Austin, Tex., who assigned the page numbers for ease of reference. [S58] Index to Texas Birth Records (Austin, Tex. : Tex. Dept. of Health, Bur. of Vital Statistics), typescript 1924, vol. 3, p. 1165, file 85313. [S124] Austin American-Statesman, Austin, Tex., 25 Mar 2015, p. B4, col. 2 (obituary of Thelma Heather). [S5] Kellie Loop, Rice, Tex., miscellaneous papers, p. 7 (indicating that William Mathew Harper was her father). Miss Loop collected family data for decades, probably from the 1930s to the 1970s. Some of it is in her handwriting, and much of it appears to have been written by others and sent to her, but very little of it contains source attribution. There are inconsistencies within the papers. In 1974 the papers were in the possession of Roger Bartlett, Austin, Tex., who assigned the page numbers for ease of reference. [S67] The Dallas Morning News, Dallas, Tex., 7 Mar 1939, sec. I, p. 6 (obituary of Dr. W. M. Harper) (naming Dr. W. M. Harper as her father). [S443] Will of William W. Loop, dated 4 Nov 1910, Navarro Co., Tex. Probate Minutes, bk. 26, pp. 360-65,(naming Alline Harper as grandchild of William W. Loop). [S5] Kellie Loop, miscellaneous papers, above pp. 7, 19. [S137] Index to Texas Delayed Probate Birth Records (Austin, Tex. : Tex. Dept. of Health, Bur. of Vital Statistics), vol. 15, p. 7435, file 478816. [S11] Index to Texas Death Records (Austin, Tex. : Tex. Dept. of Health, Bur. of Vital Statistics), typescript, 1983 (microfiche), p. 918, file 28746-83. [S386] Unidentified newspaper clipping in possession of Roger Bartlett, probably from Dallas Morning News, 3 Apr 1983 (obituary of Aline Huddleston). [S67] The Dallas Morning News, Dallas, Tex., 7 Mar 1939, sec. I, p. 6 (obituary of Dr. W. M. Harper) (giving her name as Allene Huddleston). [S386] Unidentified newspaper clipping in possession of Roger Bartlett, probably from Dallas Morning News, 3 Apr 1983 (obituary of Aline Huddleston) (naming her survivors). [S779] "Nearly One Thousand Have Graduated from Corsicana High School Since 1884," Corsicana Daily Sun, Corsicana, Tex., 10 May 1923, as reprinted in Navarro Leaves & Branches, vol. XXV, no. III (Aug 2002), p. 5 (stating that she was a member of the 1918 senior class at Corsicana H.S.). [S312] Social Security Death Index, online at http://tinyurl.com/AncestrySSDI, viewed on 16 Mar 1998. [S5] Kellie Loop, Rice, Tex., miscellaneous papers, pp. 7, 19. Miss Loop collected family data for decades, probably from the 1930s to the 1970s. Some of it is in her handwriting, and much of it appears to have been written by others and sent to her, but very little of it contains source attribution. There are inconsistencies within the papers. In 1974 the papers were in the possession of Roger Bartlett, Austin, Tex., who assigned the page numbers for ease of reference. [S312] Social Security Death Index, online at http://tinyurl.com/AncestrySSDI, viewed on 16 Mar 1998 (not naming the place of death but stating that he lived in Dallas, Texas when he died). [S1559] Texas Death Index, 1964-1998, online at https://www.familysearch.org, record for Norman Huddleston, viewed on 28 Jan 2019. • A 1905 article in the Rice Rustler describing his pharmacy in Rice,Texas is here. • His page on Find A Grave is here. • An image of his death certificate is here. [S733] Francie Herring, family group sheet provided to Roger Bartlett, 27 Mar 2002 (giving his name as William Marion Harper and naming John Marion Harper as his father). [S733] Francie Herring, 27 Mar 2002 family group sheet, above (giving his name as William Marion Harper and naming Rebecca Jane Alexander as his mother). [S5] Kellie Loop, Rice, Tex., miscellaneous papers, pp. 7, 13, 19 (giving the date but not the place). Miss Loop collected family data for decades, probably from the 1930s to the 1970s. Some of it is in her handwriting, and much of it appears to have been written by others and sent to her, but very little of it contains source attribution. There are inconsistencies within the papers. In 1974 the papers were in the possession of Roger Bartlett, Austin, Tex., who assigned the page numbers for ease of reference. [S796] Navarro County Cemetery Records, vol. 7 (Corsicana, Tex. : The Navarro County Gen. Soc'y, 1987), New Chatfield Cemetery survey, p. 5 (giving the date but not the place). [S67] The Dallas Morning News, Dallas, Tex., 7 Mar 1939, sec. I, p. 6 (obituary of Dr. W. M. Harper) (stating that he was born in Petty, Lamar County, Texas; not giving the date but stating that he was sixty-eight years old when he died on 6 Mar 1939). [S733] Francie Herring, 27 Mar 2002 family group sheet, above (giving his name as William Marion Harper and giving the date but not the place). [S67] The Dallas Morning News, Dallas, Tex., 7 Mar 1939, sec. I, p. 6 (obituary of Dr. W. M. Harper). [S796] Navarro County Cemetery Records, vol. 7, above, New Chatfield Cemetery survey, p. 5 (common marker with Addie L. Harper) (giving the place but not the date). [S67] The Dallas Morning News, Dallas, Tex., 7 Mar 1939, sec. I, p. 6 (obituary of Dr. W. M. Harper) (giving the date and identifying the cemetery as "Chatfield Cemetery"). [S1207] Corsicana Daily Sun, Corsicana, Tex., online archive at http://corsicana.newspaperarchive.com, 29 Oct 1918, p. 5, col. 4, "The Sick and Convalescent." [S18] Rice Rustler, Rice, Tex., 16 Sep 1904 (reporting on the automobile), 23 Dec 1904 (mentioning the Prohibition Club). [S733] Francie Herring, 27 Mar 2002 family group sheet, above (giving his name as William Marion Harper, giving 10 May 1872 as his birthdate, and stating that he was a physician in Chatfield and a druggist in Rice). [S67] The Dallas Morning News, Dallas, Tex., 7 Mar 1939, sec. I, p. 6 (obituary of Dr. W. M. Harper) (stating that he was employed by Dallas wholesale druggists for fifteen years). [S5] Kellie Loop, miscellaneous papers, above p. 7 (indicating that William Mathew Harper was her father). [S5] Kellie Loop, miscellaneous papers, above p. 7 (giving his name as Washington Marion Harper and indicating that William Mathew Harper was his father). [S67] The Dallas Morning News, Dallas, Tex., 7 Mar 1939, sec. I, p. 6 (obituary of Dr. W. M. Harper) (naming Dr. W. M. Harper as his father). [S5] Kellie Loop, miscellaneous papers, above p. 7 (indicating that William Matthew Harper was her father). Other Names*: Sis Harper, Jane Katherine Harper West, Jane Katherine West. [S443] Will of William W. Loop, dated 4 Nov 1910, Navarro Co., Tex. Probate Minutes, bk. 26, pp. 360-65,(naming Jane K. Harper as grandchild of William W. Loop). [S5] Kellie Loop, miscellaneous papers, above pp. 7, 19, 31 (spelling her middle name as Catherine and giving only the birthplace). [S11] Index to Texas Death Records (Austin, Tex. : Tex. Dept. of Health, Bur. of Vital Statistics), typescript, 1992 (microfiche), p. 2252, file 115170 (giving her name as Kathryn West). [S5] Kellie Loop, miscellaneous papers, above p. 31. [S137] Index to Texas Delayed Probate Birth Records (Austin, Tex. : Tex. Dept. of Health, Bur. of Vital Statistics), vol. 38, p. 18829, file 93297. [S5] Kellie Loop, Rice, Tex., miscellaneous papers, p. 7 (giving his name as Washington Marion Harper and indicating that William Mathew Harper was his father). Miss Loop collected family data for decades, probably from the 1930s to the 1970s. Some of it is in her handwriting, and much of it appears to have been written by others and sent to her, but very little of it contains source attribution. There are inconsistencies within the papers. In 1974 the papers were in the possession of Roger Bartlett, Austin, Tex., who assigned the page numbers for ease of reference. [S443] Will of William W. Loop, dated 4 Nov 1910, Navarro Co., Tex. Probate Minutes, bk. 26, pp. 360-65,(naming Washington M. Harper as grandchild of William W. Loop). [S5] Kellie Loop, miscellaneous papers, above pp. 7, 19 (giving the date but not the place). [S312] Social Security Death Index, online at http://tinyurl.com/AncestrySSDI, viewed on 13 Mar 1998 (giving his name as W. Harper) (giving the date but not the place). [S8] Corsicana Daily Sun, Corsicana, Tex., 27 Jul 1997 (obituary of William Marion ["Son"] Harper). [S2] Holy Bible (1873) (giving his name as W. M. Harper and not giving the date). This bible was originally owned by J. M. Bartlett and Mollie Clopton and was in the possession of Ruby Lynn Shelton, Rice, Tex., when viewed by Roger Bartlett in 1974. [S5] Kellie Loop, miscellaneous papers, above pp. 7, 19 (giving his name as Washington Marion Harper and not giving the date). [S468] Janette Dilworth, letter to Roger Bartlett, 17 May 1973 (giving his name as Son Harper and not giving the date). [S312] Social Security Death Index, online at http://tinyurl.com/AncestrySSDI, viewed on 13 Mar 1998 (giving his name as W. Harper; not naming the place of death but stating that he lived in Chatfield, Texas when he died). [S267] Dorothy Bartlett, Rice, Tex., telephone conversation with Roger Bartlett, (stating that he died at home but erroneously stating that he died on 12 Jul 1997). [S267] Dorothy Bartlett, Rice, Tex., telephone conversation with Roger Bartlett, 16 Aug 1997 (erroneously stating that he was buried on 14 Jul 1997). [S5] Kellie Loop, miscellaneous papers, above p. 7 (indicating that Washington Marion Harper was her father). [S468] Janette Dilworth, letter to Roger Bartlett, 17 May 1973 (naming Son Harper as her father). [S585] Corsicana Daily Sun, Corsicana, Tex., online at http://www.corsicanadailysun.com (obituary of Corrine Harper Patrick) (naming WM 'Son' Harper as her father). [S95] Mrs. A. D. Ellis, "Gibson Family," above (naming W. M. Harper as her father). Several grandchildren of J.M. and Mollie Clopton Bartlett in front of their home in Rice, Tex. 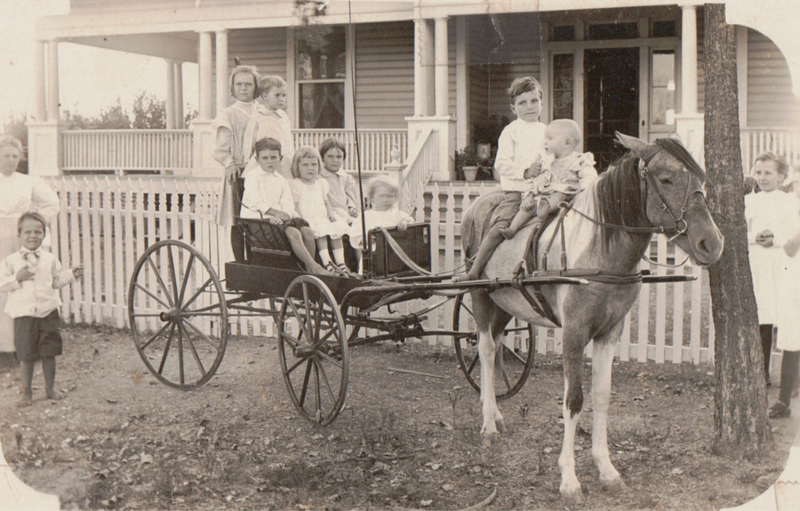 Bess Bartlett is thought to be the third seated child from the left. Other Names*: Bess Harper, Bessie Harper. [S67] The Dallas Morning News, Dallas, Tex., 14 Aug 1956, part 3, p. 15 (obituary of William D. Bartlett) (naming Mrs. W. M. Harper of Chatfield as his daughter). [S961] Find A Grave, online, above, memorial for Bessie Bartlett Harper, memorial no. 8713298, viewed on 26 May 2014 (naming Ola Corine Gibson Bartlett as her mother). [S137] Index to Texas Delayed Probate Birth Records (Austin, Tex. : Tex. Dept. of Health, Bur. of Vital Statistics), sec. 2, vol. 1, p. 332, file 1069961 (as Bess Bartlett). [S312] Social Security Death Index, online at http://tinyurl.com/AncestrySSDI, viewed on 5 Sep 1998 (giving her name as Bess and giving only the date). [S2] Holy Bible (1873), originally owned by J. M. Bartlett and Mollie Clopton, above (giving his name as W. M. Harper and not giving the date). [S5] Kellie Loop, Rice, Tex., miscellaneous papers, pp. 7, 19 (giving his name as Washington Marion Harper and not giving the date). Miss Loop collected family data for decades, probably from the 1930s to the 1970s. Some of it is in her handwriting, and much of it appears to have been written by others and sent to her, but very little of it contains source attribution. There are inconsistencies within the papers. In 1974 the papers were in the possession of Roger Bartlett, Austin, Tex., who assigned the page numbers for ease of reference. [S416] Jack Bartlett, electronic mail to Roger Bartlett, 14 Jun 1998. [S5] Kellie Loop, miscellaneous papers, above p. 7 (indicating that Bessie Bartlett was her mother). [S468] Janette Dilworth, letter to Roger Bartlett, 17 May 1973 (naming Bess Bartlett as her mother). 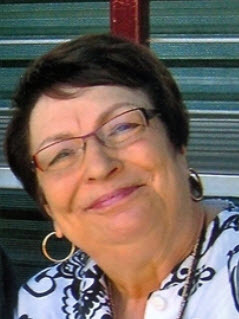 [S585] Corsicana Daily Sun, Corsicana, Tex., online at http://www.corsicanadailysun.com (obituary of Corrine Harper Patrick) (naming Bess Harper as her mother). [S95] Mrs. A. D. Ellis, "Gibson Family," above (naming Bess Harper as her mother). Corinne Harper Patrick, courtesy of Corsicana Daily Sun. Other Names*: Corrine Harper, Corrine Bartlett Harper Patrick, Corrine Harper Patrick, Corrine Bartlett Patrick, Corrine Patrick. Obituary*: Corinne Harper Patrick, age 71, lost her battle with cancer Sunday, June 4, 2017. Corinne was born in Chatfield Feb. 5, 1946 to WM "Son" and Bess Harper. She was known as "Kin Gal" to her childhood friends and family. Corinne lived to be a mom and grandma. She worked as an office manager in the printing industry until her recent diagnosis. Her greatest pleasures came from the accomplishments of her kids and grandkids. She was preceded in death by her parents and her son, Bobby who passed in 1985. To honor her life a service will be held at 3 p.m. Thursday, June 8, 2017 at Bluebonnet Hills Funeral Home in Colleyville. [S5] Kellie Loop, Rice, Tex., miscellaneous papers, p. 7 (indicating that Washington Marion Harper was her father). Miss Loop collected family data for decades, probably from the 1930s to the 1970s. Some of it is in her handwriting, and much of it appears to have been written by others and sent to her, but very little of it contains source attribution. There are inconsistencies within the papers. In 1974 the papers were in the possession of Roger Bartlett, Austin, Tex., who assigned the page numbers for ease of reference. [S95] Mrs. A. D. Ellis, "Gibson Family," in Navarro County History, vol. 2 (Corsicana, Tex. : The Navarro County Hist. Soc'y, 1978), p. 388 (naming W. M. Harper as her father). [S58] Index to Texas Birth Records (Austin, Tex. : Tex. Dept. of Health, Bur. of Vital Statistics), typescript 1946, vol. 3, p. 1358, file 20443 (spelling her first name as Corrinne; stating that she was born on 5 Feb 1946 in Navarro County, Texas without further information). 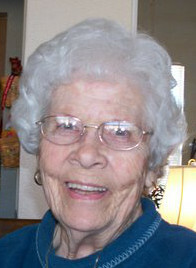 [S585] Corsicana Daily Sun, Corsicana, Tex., online at http://www.corsicanadailysun.com (obituary of Corrine Harper Patrick). [S585] Corsicana Daily Sun, Corsicana, Tex., online at http://www.corsicanadailysun.com (reprinted here with consent of the Corsicana Daily Sun). [S95] Mrs. A. D. Ellis, "Gibson Family," above (naming Corrine Bartlett Harper as his mother). Obituary*: Mattsy Harper McMullan, 80, of Corpus Christi. Graveside services will be 3 p.m. Monday in New Chatfield Cemetery in Chatfield, with the Rev. John Gibbs officiating. Corley Funeral Home is in charge of arrangements. She was born June 9, 1913. She was preceded in death by her husband, James H. McMullan. [S5] Kellie Loop, Rice, Tex., miscellaneous papers, p. 7 (indicating that William Matthew Harper was her father). Miss Loop collected family data for decades, probably from the 1930s to the 1970s. Some of it is in her handwriting, and much of it appears to have been written by others and sent to her, but very little of it contains source attribution. There are inconsistencies within the papers. In 1974 the papers were in the possession of Roger Bartlett, Austin, Tex., who assigned the page numbers for ease of reference. [S312] Social Security Death Index, online at http://tinyurl.com/AncestrySSDI, viewed on 13 Nov 1997 (giving her name as Mattsy McMullan). [S796] Navarro County Cemetery Records, vol. 7 (Corsicana, Tex. : The Navarro County Gen. Soc'y, 1987), New Chatfield Cemetery survey, p. 2 (giving her name as Mattsy H. McMullan and stating that she was born in 1913). [S8] Corsicana Daily Sun, Corsicana, Tex., 20 Jun 1993 (obituary of Mattsy Harper McMullan). [S961] Find A Grave, online at http://www.findagrave.com, memorial for Mattsy H. McMullan, memorial no. 81727054, viewed on 14 Aug 2013 (giving the year but not the rest of the date). [S11] Index to Texas Death Records (Austin, Tex. : Tex. Dept. of Health, Bur. of Vital Statistics), typescript, 1993 (microfiche), p. 1410, file 61778 (giving her name as Mattsy McMullan). [S312] Social Security Death Index, online at http://tinyurl.com/AncestrySSDI, viewed on 13 Nov 1997 (giving her name as Mattsy McMullan and giving the date but not the place). [S961] Find A Grave, online, above, memorial for Mattsy H. McMullan, memorial no. 81727054, viewed on 14 Aug 2013 (giving the year but not the place or the rest of the date). [S796] Navarro County Cemetery Records, vol. 7, above, New Chatfield Cemetery survey, p. 2 (giving her name as Mattsy H. McMullan) (common marker with James H. McMullan) (not giving the date). [S961] Find A Grave, online, above, memorial for Mattsy H. McMullan, memorial no. 81727054, viewed on 14 Aug 2013 (naming the cemetery but not giving the date). [S8] Corsicana Daily Sun, Corsicana, Tex., 20 Jun 1993 (reprinted here with consent of the Corsicana Daily Sun). [S5] Kellie Loop, miscellaneous papers, above p. 19. [S312] Social Security Death Index, online at http://tinyurl.com/AncestrySSDI, viewed on 23 Mar 1998. [S796] Navarro County Cemetery Records, vol. 7 (Corsicana, Tex. : The Navarro County Gen. Soc'y, 1987), New Chatfield Cemetery survey, p. 2 (stating that he was born in 1915). [S961] Find A Grave, online at http://www.findagrave.com, memorial for James H. McMullan, memorial no. 81727072, viewed on 14 Aug 2013 (giving the year but not the rest of the date). [S312] Social Security Death Index, online at http://tinyurl.com/AncestrySSDI, viewed on 23 Mar 1998 (not naming the place of death but stating that he lived in Corpus Christi, Texas when he died). [S796] Navarro County Cemetery Records, vol. 7, above, New Chatfield Cemetery survey, p. 2 (stating that he died in 1985). [S796] Navarro County Cemetery Records, vol. 7, above, New Chatfield Cemetery survey, p. 2 (common marker with Mattsy H. McMullan). [S961] Find A Grave, online, above, memorial for James H. McMullan, memorial no. 81727072, viewed on 14 Aug 2013 (naming the cemetery but not giving the date). William Buckner Kenner's tombstone, Oakwood Cemetery, Corsicana, Tex. "William B. Kenner, aged 41 years, 1436 West Fourth avenue, was found dead on the Burlington and Rock Island Lines tracks about two miles north of Cheneyboro at an early hour Wednesday morning. C. Healer, Richland justice of the peace, returned a coroner’s verdict of “accidentally killed by a train” after conducting an investigation along with B. V. Hatley, deputy sheriff, and others. "W. M. Davidson said several friends had eaten supper at the Cheneyboro lodge and after starting back to Corsicana about 11 o’clock, a flat tire was discovered on the car in which Kenner was riding. "Kenner, an employee of the American Well and Prospecting Company, fearing the tire could not be repaired, it was stated, started [p. 7] walking toward Navarro to join a fellow employee to ride the remainder of the way. When he did not arrive at Navarro, a search was instituted. Davidson said the body was found near a creek trestle about two miles north of Cheneyboro and that a freight train was seen proceeding south shortly before midnight. "Mr. Inscore, weed-burner operator for the railroad lines, is reported to have discovered the body about 8 a. m. and notified Teague offices.
" Kenner formerly operated a tailor shop here and at one time was employed by the road and bridge department of Navarro county. He was well-known in Corsicana and Navarro county. "Funeral services are planned from the Corley Chapel Thursday afternoon at 5 o’clock with burial in Oakwood cemetery. The rites will be conducted by Rev. Matthew Arnold, pastor of the Third Avenue Presbyterian church. [S443] Will of William W. Loop, dated 4 Nov 1910, Navarro Co., Tex. Probate Minutes, bk. 26, pp. 360-65,(naming W. B. Kenner as grandson of William W. Loop). [S5] Kellie Loop, miscellaneous papers, above pp. 7, 8, 18 (giving the date but not the place). [S137] Index to Texas Delayed Probate Birth Records (Austin, Tex. : Tex. Dept. of Health, Bur. of Vital Statistics), vol. 20, p. 9645, file 277399. [S189] Navarro County Cemetery Records, vol. 9 (Corsicana, Tex. : The Navarro County Gen. Soc'y, 1989), p. 34 (giving only the year and not naming the place). [S1017] Navarro County, Texas Genealogical and Historical Web Site, online at http://www.rootsweb.ancestry.com/~txnavarr/index.htm (showing photograph of grave marker giving year but not the place). 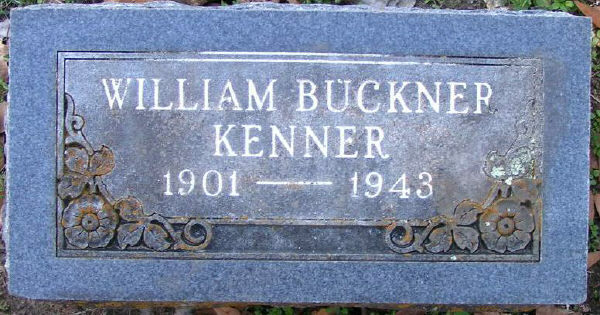 [S961] Find A Grave, online at http://www.findagrave.com, memorial for William Buckner Kenner, memorial no. 63714747, viewed on 2 Oct 2011. [S5] Kellie Loop, miscellaneous papers, above pp. 7, 8. [S11] Index to Texas Death Records (Austin, Tex. : Tex. Dept. of Health, Bur. of Vital Statistics), typescript, 1941-45, vol. 6, p. 2904, file 28770 (giving the date and county). [S8] Corsicana Daily Sun, Corsicana, Tex., 9 Jun 1943, p. 1 (obituary of William B. Kenner) (stating that he was found dead about two miles north of Cheneyboro, Texas). [S189] Navarro County Cemetery Records, vol. 9, above, p. 34 (giving the place but not the date). [S8] Corsicana Daily Sun, Corsicana, Tex., 9 Jun 1943, pp. 1, 7 (obituary of William B. Kenner). [S8] Corsicana Daily Sun, Corsicana, Tex., 9 Jun 1943, pp. 1, 7 (reprinted here with permission of Corsicana Daily Sun). [S5] Kellie Loop, miscellaneous papers, above pp. 7 (giving her name as Jane Elizabeth and indicating that William Buckner Kenner was her father), p. 8 (giving her name as Elizabeth Jane and indicating that William Buckner Kenner was her father). [S5] Kellie Loop, miscellaneous papers, above pp. 7, 8 (indicating that William Buckner Kenner was her father). Janie Babb as senior in high school, 1918. Other Names*: Janie Babb Kenner, Janie Kenner. [S5] Kellie Loop, Rice, Tex., miscellaneous papers, pp. 8, 18 (giving only the date). Miss Loop collected family data for decades, probably from the 1930s to the 1970s. Some of it is in her handwriting, and much of it appears to have been written by others and sent to her, but very little of it contains source attribution. There are inconsistencies within the papers. In 1974 the papers were in the possession of Roger Bartlett, Austin, Tex., who assigned the page numbers for ease of reference. [S137] Index to Texas Delayed Probate Birth Records (Austin, Tex. : Tex. Dept. of Health, Bur. of Vital Statistics), vol. 2, p. 645, file 926956. [S189] Navarro County Cemetery Records, vol. 9 (Corsicana, Tex. : The Navarro County Gen. Soc'y, 1989), p. 34 (giving only the date). [S961] Find A Grave, online at http://www.findagrave.com, memorial for Janie Babb Kenner, memorial no. 63714837, viewed on 2 Oct 2011. [S11] Index to Texas Death Records (Austin, Tex. : Tex. Dept. of Health, Bur. of Vital Statistics), typescript, 1988 (microfiche), p. 1101, file 63432-88. [S312] Social Security Death Index, online at http://tinyurl.com/AncestrySSDI, viewed on 24 Feb 1998 (not naming the place of death but stating that she lived in Fairfield, Texas when she died). [S189] Navarro County Cemetery Records, vol. 9, above, p. 34. [S1017] Navarro County, Texas Genealogical and Historical Web Site, online at http://www.rootsweb.ancestry.com/~txnavarr/index.htm (including photograph of grave marker). [S779] "Nearly One Thousand Have Graduated from Corsicana High School Since 1884," Corsicana Daily Sun, Corsicana, Tex., 10 May 1923, as reprinted in Navarro Leaves & Branches, vol. XXV, no. III (Aug 2002), p. 5. [S1252] Corley Funeral Home, Corsicana, Tex., online at http://www.corleyfuneralhome.com, memorial for Carey Ann Blount (naming Janie Kenner as her mother).